Now in their 20th season of South Park, Trey Parker and Matt Stone’s writing chemistry is legendary. So, too, are their working methods, frequently churning out episodes over just a couple of days and tweaking them until the very last minute before they air. A new video from Looper digs back into the early days of their partnership, and finds that it was pretty much there from the outset. The duo met in film class in Colorado in 1992 and immediately bonded over their shared love of silly voices and puerile humor. Parker had already refined his construction-paper animation skills on an award-winning short film about American history, which has aged shockingly well. Once the two became friends, they used that animation style and their newfound chemistry to create the original “The Spirit Of Christmas” short that same year. 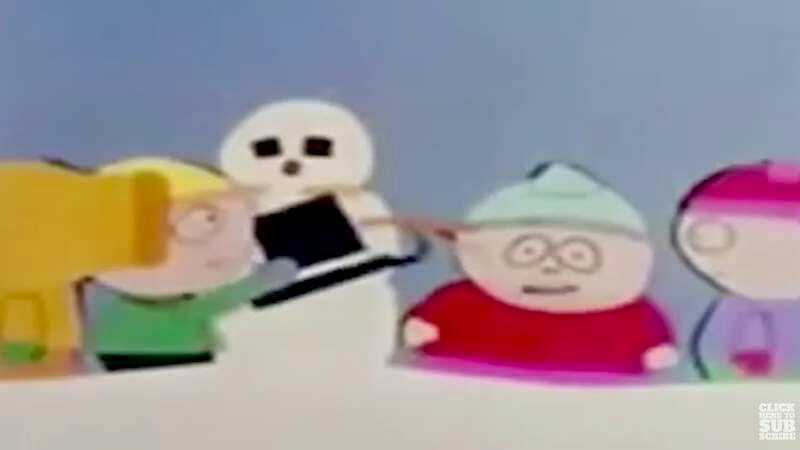 It’s amazing how, half a decade before its cable debut, all the hallmarks of South Park’s debut season are already in place, including its main characters, catchphrases, staging, and rhythms. The duo then took a stab at live-action, with the fake trailer for Cannibal: The Musical. It, too, would show a lot of the Broadway musical tastes that they’d use to great effect in South Park: Bigger, Longer, And Uncut, as well as Team America: World Police and Book Of Mormon. They’d later be given money by the University Of Colorado to transform the short into a full feature, about which people still have decidedly mixed opinions to this date. By this point they had enough fame that people were trying to find the right project for them, so they tried a TV show called Time Warped that is also available online. It, too, is irreverent, musical, and much smarter than it seems. They also were given enough money to remake “The Spirit Of Christmas” in slightly higher quality, which then became a VHS-copying phenomenon in 1995. Reportedly, George Clooney made hundreds of copies and sent them around to friends. This fame led to the South Park pilot, which was impressively poorly received by test audiences but still green-lit by a struggling Comedy Central, after which the program turned into a money-printing machine. While you can sit back and find a bunch of the earlier stuff online, the Looper video is peppered with interesting analysis as well as historical tidbits, like the fact that the duo were offered the job of directing Barney’s Big Adventure, a gig they turned down, to history’s great chagrin. Maybe they can circle back on that one of these days.